Incredibly clean and rare 1962 356B 1600 Karmann Hardtop in Ivory with Black Leatherette interior. 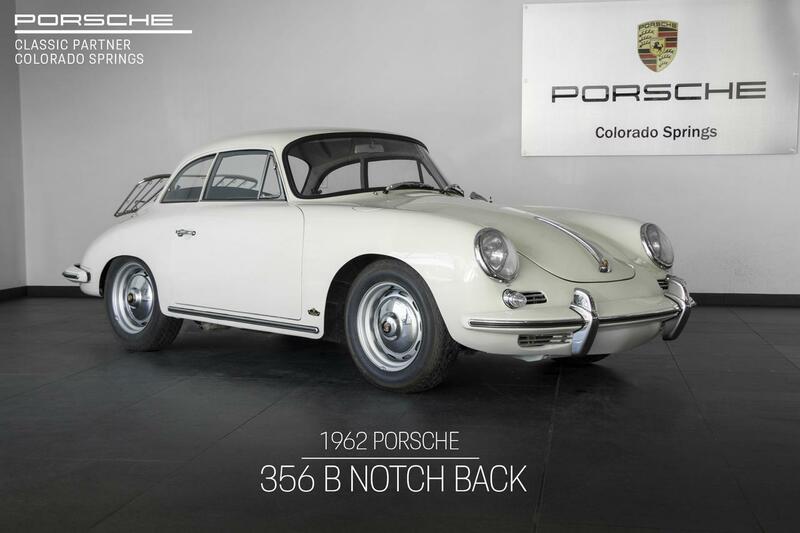 The 356 Notchback was only made for 2 years beginning in 1961 when a 356 Cabriolet was fitted with a hardtop shell that was welded into place and the 1962 model year was a true Hardtop Notchback body. This 356 Notchback came to us from a local automotive enthusiast that enjoys resurrecting cars back to life and this one is a great example of the level of detail needed to make a great Classic Porsche. The previous owner acquired the car in July of 2014 and began sourcing parts to get the 356 back to its original condition. During previous ownership the original engine had been replaced with a factory rebuilt engine and the CoA indicates the transmission is original to the car. During restoration the floor plans were replaced along with repairing other minor areas needing attention after being media blasted. The 356 has been driven on occasion since completing the restoration and it drives incredibly well. A complete record of invoices were kept throughout the restoration process and a Certificate of Authenticity will remain with the car to the next owner. The 356 also comes with original manuals, tool kit, spare wheel and tire, and jack.